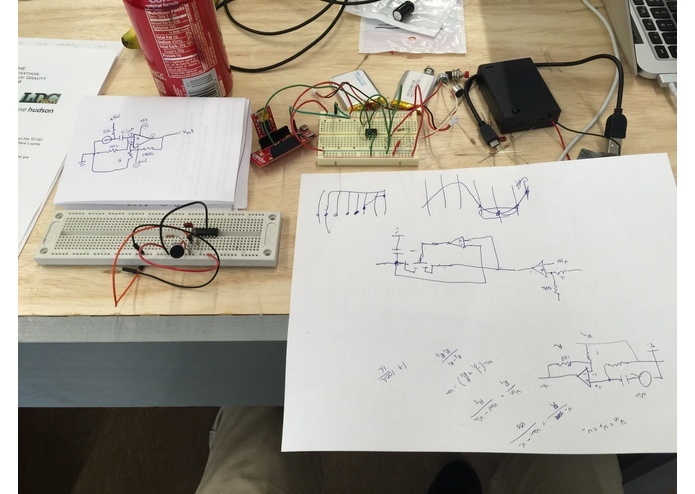 Htoo Wai built a sensor using an electret mic. Gabby and Arsal setup the esp8266, and came up with the idea that ended the brainstorming torture. Amanda setup the raspberry pi servers with data logging and interface. 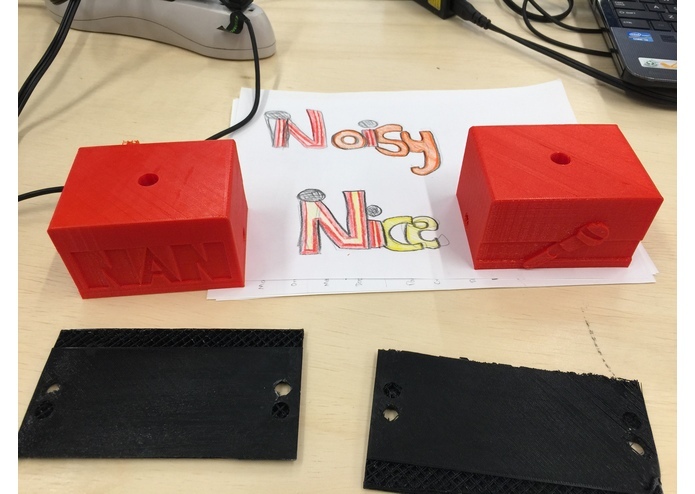 Finn designed and 3D printed our cases, and put together our backup sensor. figuring out best ways to sample data for apartment level, building level, and city level. Adding anonymous response system for neighbors to alert each other of noise pollution. Complete interactive dashboard/ infographics. I designed the 3-D printed case for our product. I soldered the hardware, and helped with any other miscellaneous problems. I organized the presentation layout, calculated one individual product's price, created the argument for our product's usefulness, and was the general speaker for the description of our product. I setup a raspberry pi server, and built the web interface.